Partisan tweets prompted the removal of a Kansas Department of Transportation staffer and, in quick succession, the withdrawal of Kelly’s nominee for the Kansas Court of Appeals. The governor’s choice to head the Kansas Department of Commerce also got a verbal lashing from Republicans because of a social media post. 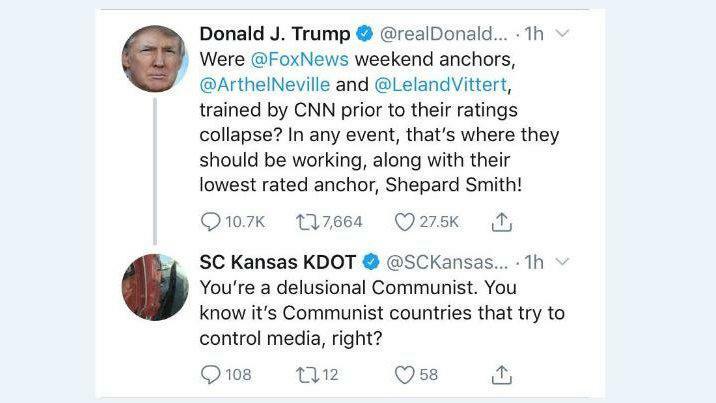 The Kelly administration acted swiftly after a tweet was sent Sunday from a KDOT account calling President Donald Trump a “delusional communist.” Within hours, the tweet was taken down and the employee responsible, a media relations specialist in the agency’s south-central district, was fired. KDOT Secretary Julie Lorenz nonetheless had to answer for it at her confirmation hearing Monday. She’d been out on a run when her chief of staff alerted her to the problem. Old tweets about the president derailed Kelly’s nomination to fill a seat on the Kansas Court of Appeals just days later. 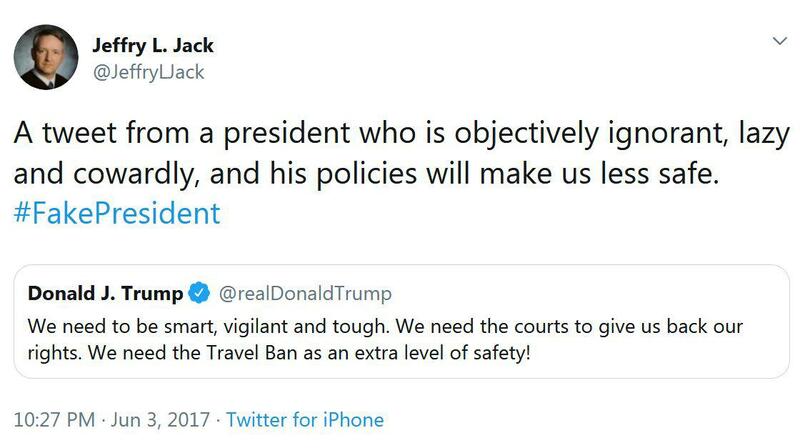 Labette County District Court Judge and former Republican lawmaker Jeffry Jack had posted tweets in 2017 that included profanity, calls for gun control and insults aimed at the president. “A president who is objectively ignorant, lazy and cowardly,” read one tweet. That drew condemnation Monday from Senate leaders being asked to confirm the judge, and a day later Kelly herself withdrew the nomination. Kelly’s nomination to head the Department of Commerce is still headed for a vote in the full Senate, but without a favorable committee recommendation partially because of his social media history. Acting Commerce Secretary David Toland is pictured in a post from when he worked for the economic development organization Thrive Allen County. The post made a joking allusion to former Republican Gov. Sam Brownback and local Republican Sen. Caryn Tyson as things that kept him up at night. Toland said it was a prank and apologized. He explained the image of him in bed with photos of Brownback and Tyson on the nightstand beside him was posted as a joke by the Thrive Allen staff. 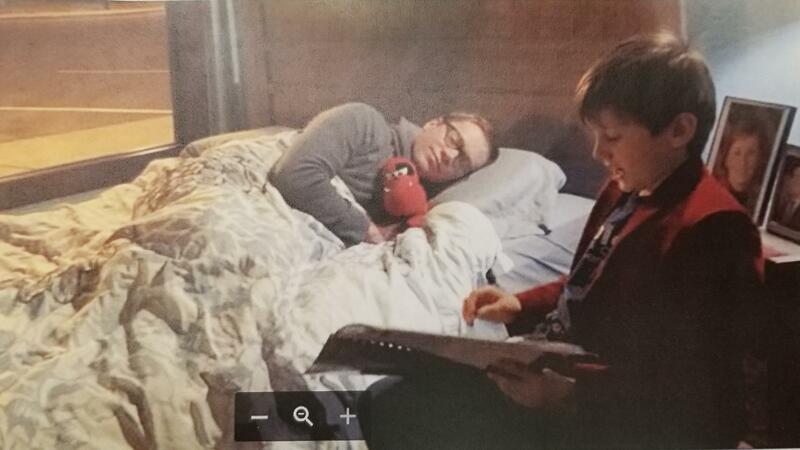 Toland was sleeping in a downtown office to raise awareness for a sleep clinic at the local hospital. Politics were also at play in his grilling, Toland suspected. He was treasurer for Kelly’s campaign for governor. The Topeka Capital-Journal reported that Toland’s policy proposals in Allen County had clashed with business interests of the newly elected vice chair of the Kansas Republican Party, Virginia Crossland-Macha. “This is Topeka. There are always politics,” Toland said after the first day of his hearing. Still, Baumgardner and others said Twitter feeds and Facebook profiles should be some of the first items reviewed when considering potential nominees. Kelly has asked her judicial nominating committee to review the applicants for the Appeals Court job again, and this time check their social media activity before sending her new names for consideration. Employees in the administration are subject to the executive branch social media policy and agencies sometimes have additional guidelines. “Our staff has had numerous conversations about the importance of respectful, responsible social media behavior,” Kelly spokesperson Ashley All said. On Tuesday, the NAACP encouraged Facebook users to participate in a week-long protest of the social media platform after a report released for the U.S. Senate Select Committee on Intelligence revealed the tech company's history of data hacks targeting people of color. The Republican-controlled Kansas House approved wide-ranging tax legislation Thursday. The measure would reduce sales taxes on food, which could help Kansans across the income spectrum. It would also give some big corporations a break, and that will likely spark a showdown with Democratic Gov. Laura Kelly.